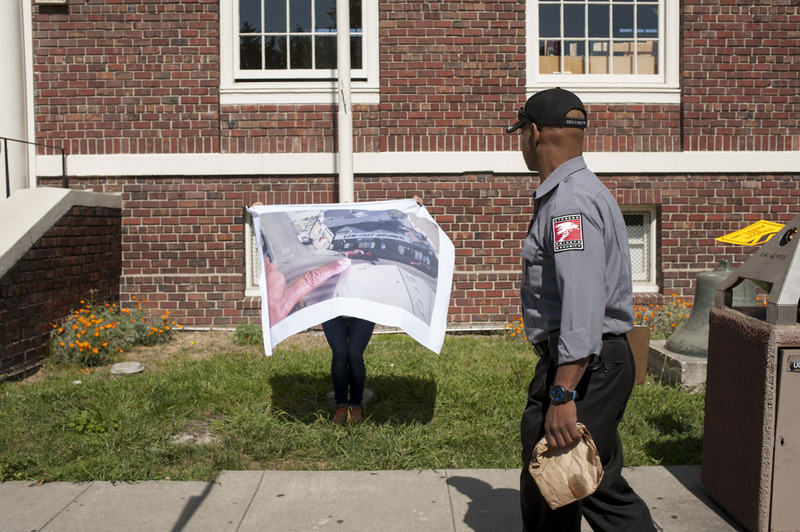 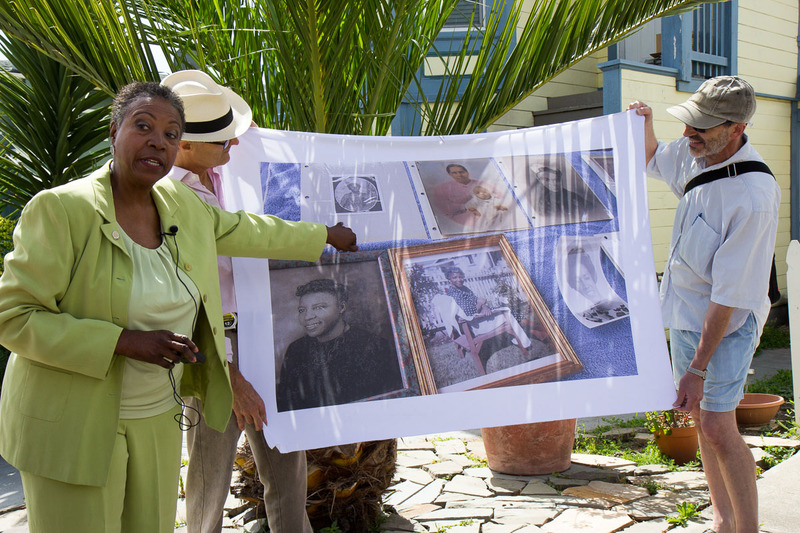 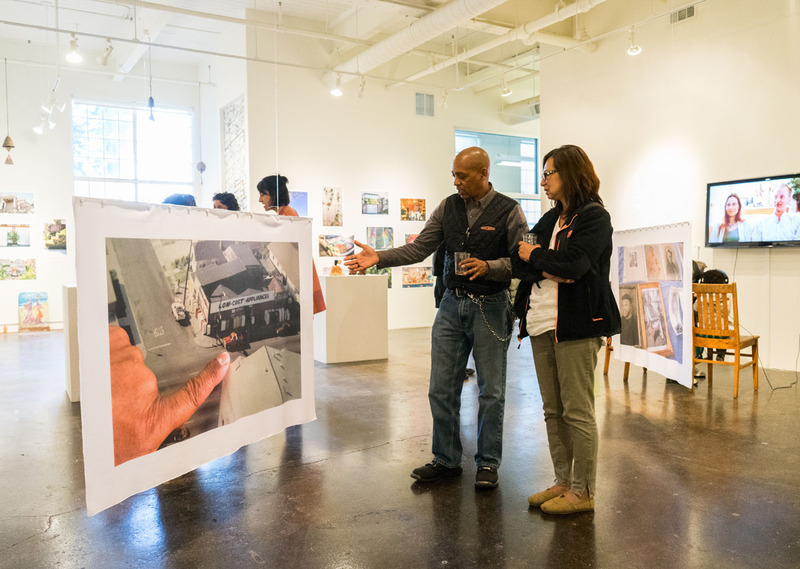 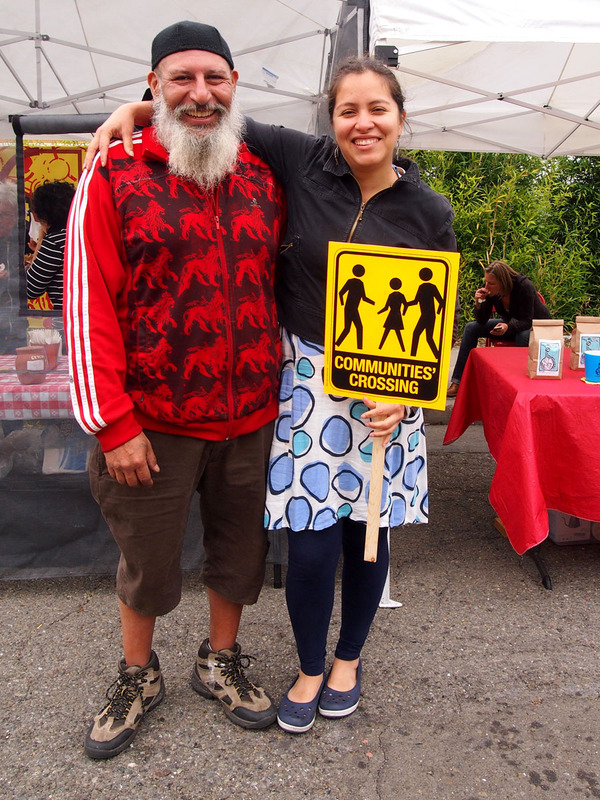 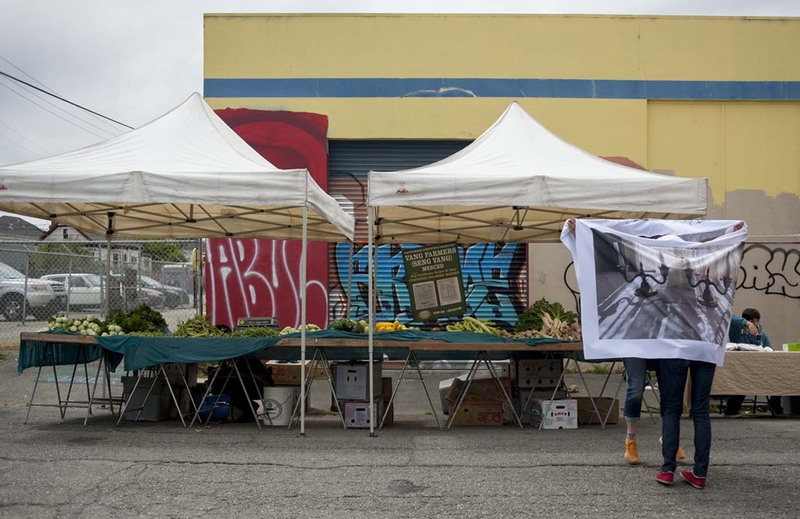 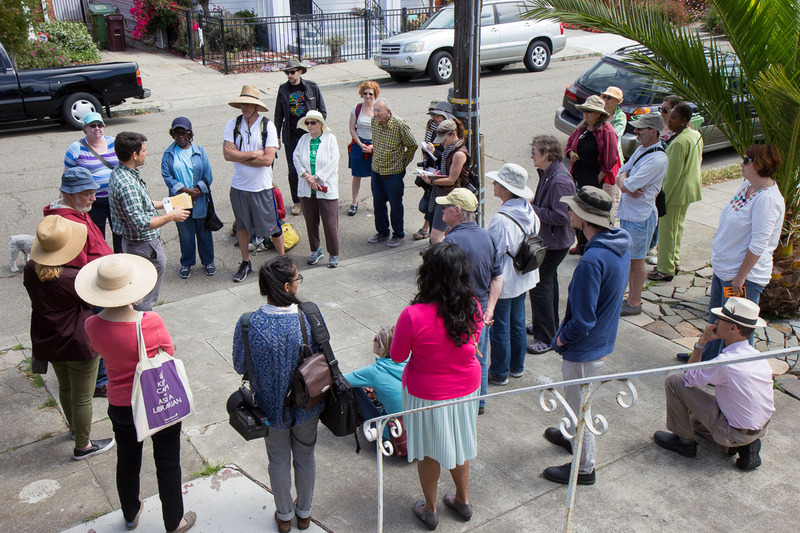 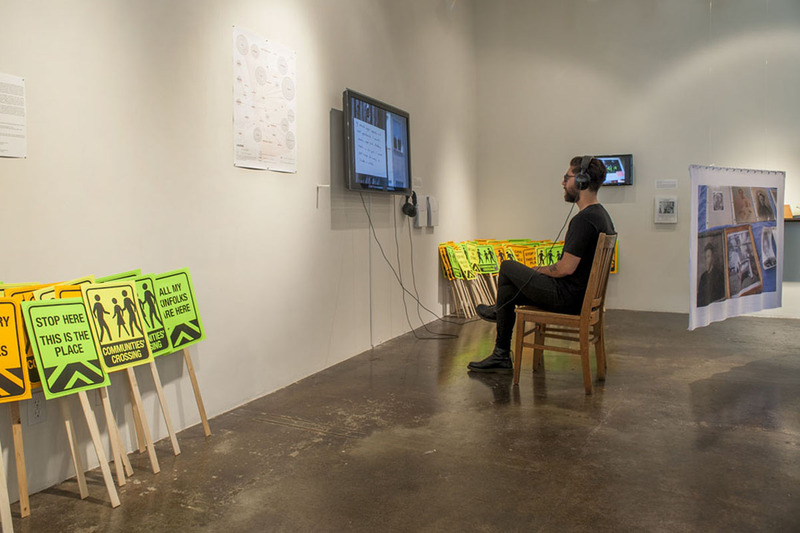 Using archival records and oral histories as source material, Communities' Crossing unfolded as a series of public events including on-the-street performances, a neighborhood walking discussion and a gallery installation. 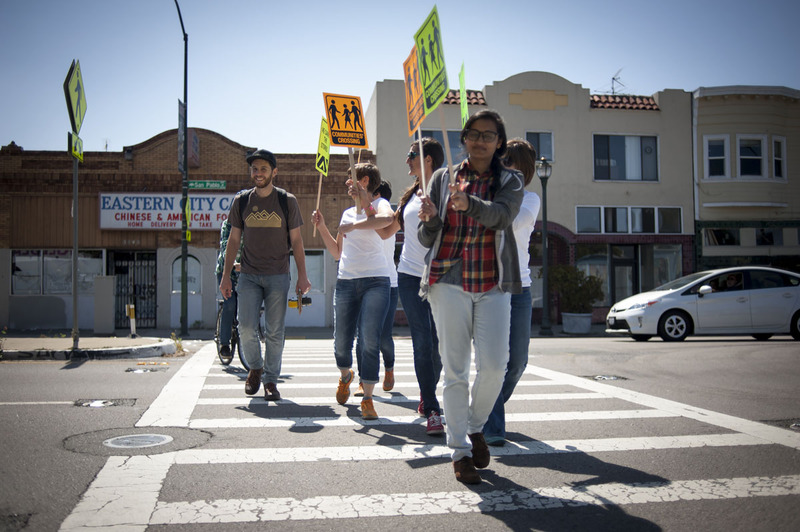 marksearch collaborated with urban researcher Anisha Gade, the Oakland Improv Collective, community groups and local residents. 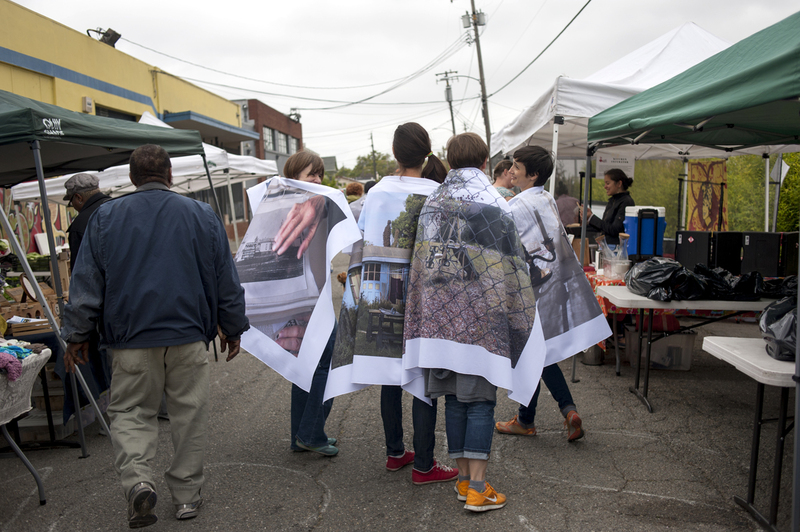 Project research generated layered questions about the significance of collecting neighborhood stories, accessing archival history and developing urban design. 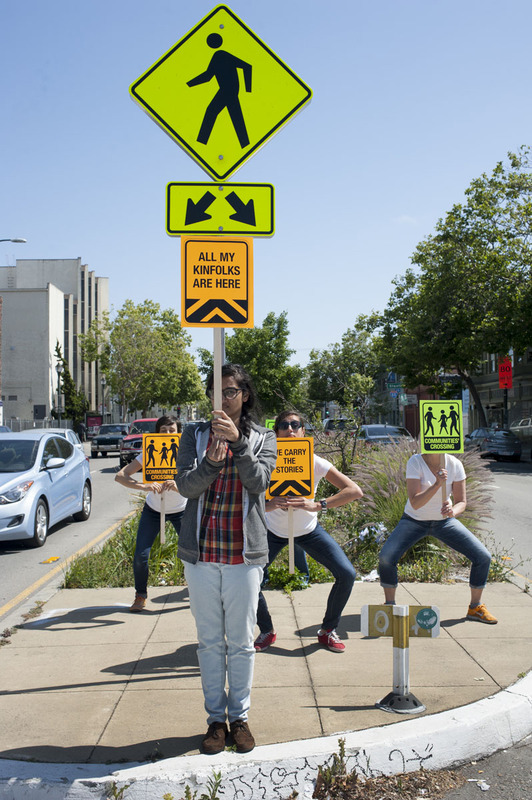 Choreography informed by video interviews with new and long-term residents resulted in improvisational sidewalk dance performances in key neighborhood locations to encourage conversations about change. 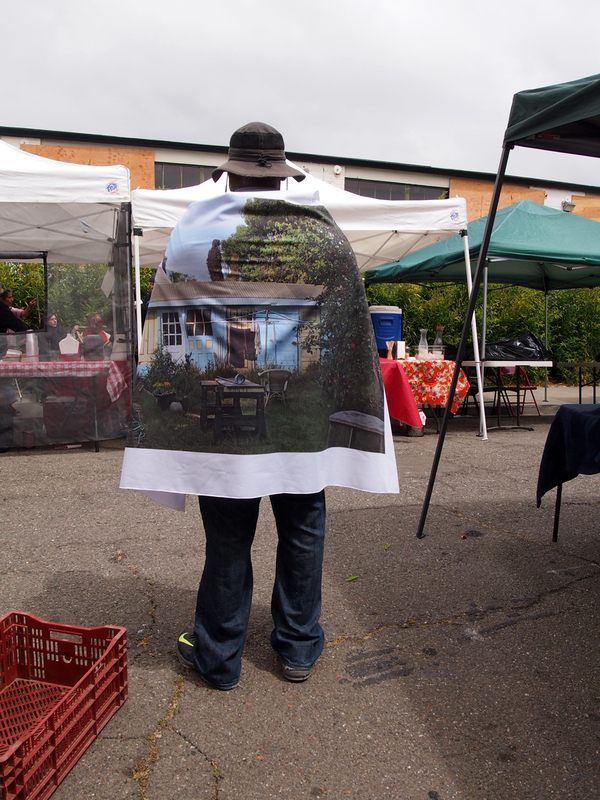 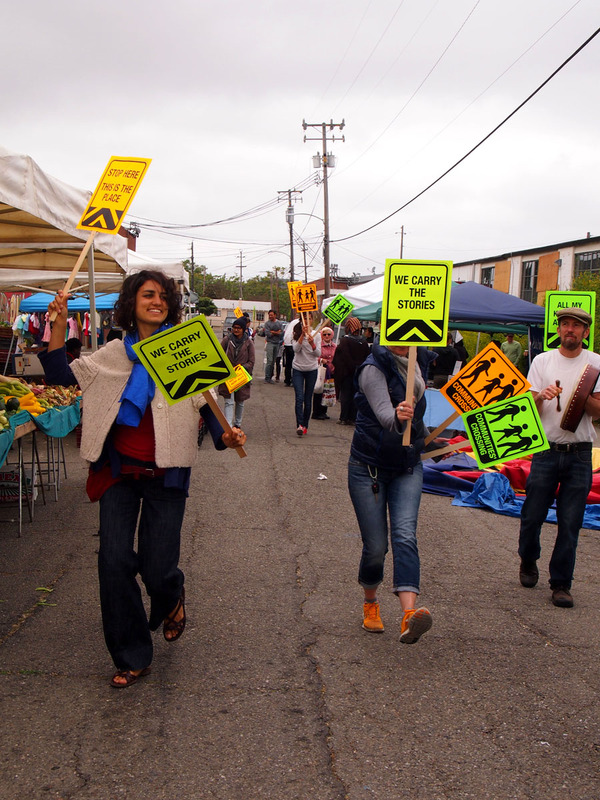 Performances included large banners printed with contemporary and archival neighborhood images and silk-screened signage incorporating neighbors' reflection on their changing community. 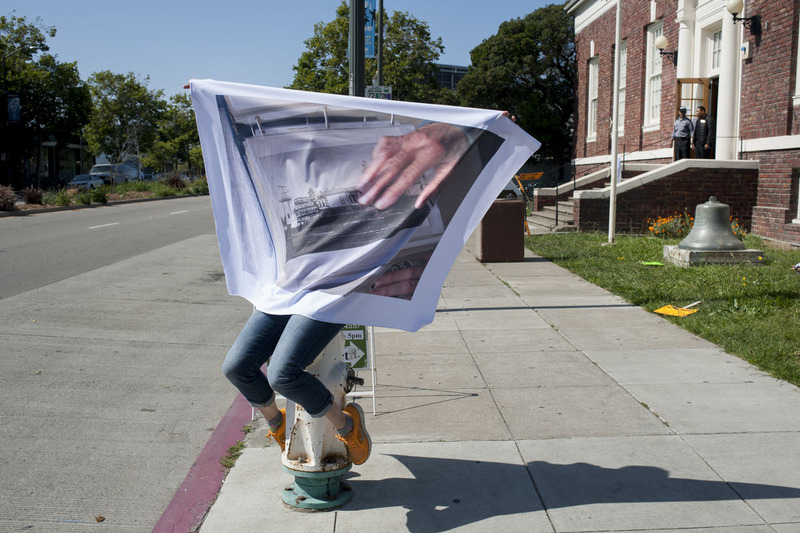 This project was part of Kala Art Institute's Print Public program.